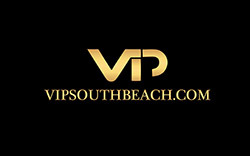 When you contact VIP South Beach we will give you our insiders nightlife guidance. Our VIP South Beach staff will let you know where the best Miami nightclubs are and which nights are the very best for the nights you are in town. All the nightclubs have weekly events, we will let you know which clubs play the type of music you prefer and the nightclub events that are going on that week. The South Beach scene is always changing. We are always up to date and the only true insiders nightlife guide. Our very popular South Beach Miami Nightclub Party Package which include: 2 Hour Unlimited Open Bar at a lounge in South Beach, one way Limo Transfer from the open bar lounge to the nightclub, Hosted No Wait Nightclub Entry and the Nightclub Admission Is Included In The Package Price. The Party Package tickets are $85.00 for guys and $55.00 for girls. **Ticket prices can change depending on the nightclub and the nightclub event. Nightclub VIP Table Bottle Service Option: If you would rather have a table at the nightclub then you would do the nightclub bottle service option. With bottle service all nightclubs will have a bottle minimum spend to have a table at the nightclub which is the amount they will reqire that you spend on bottles to have the table. We will get a bottle minimum quote which is based on the amount of people in your group, the girl/guy ratio and the nightclub and club event. To give you an idea of the cost the bottle minimum spend for a group of 3 guys/ 3 girls is normally around $1000 to $1500 plus tax and tip. Bottles start at around $400 and up. If you have an all guy group the minimum spend will be much higher. With VIP South Beach you will have Complimentary Nightclub Admissions With Bottle Service, No Wait Entry and Complimentary Juice Mixers. We will email your VIP South Beach Itinerary and details to you before you arrive. We can then go over it with you and make sure your itinerary is perfect for you answering any questions you may have and making any changes you would like. All Nightlife Itinerary’s are completely suited to your tastes for your Ultimate South Beach experience! No, it is not necessary to book your hotel through us. This is one of the services we offer. Many of our clients have already booked there hotel accommodations before they have found our services. If you have not decided on your hotel we can help you make the right decision. We have been inside all of the South Beach hotels and we will give you the insiders word on which hotel best suits your taste and needs. Yes, we specialize in knowing when and where the best insider nightclub parties are during the week. South Beaches best promoters are at certain nightclubs on different nights of the week and we make sure you get into the right place on the right night. Yes, all our Miami nightclub packages are totally suited to your tastes and we will set you up with any nightclub or restaurant you would like to go. Yes, we give all of our clients our cell phone number to answer any questions you may have while you are here and make sure everything goes smoothly for your stay. How do I reserve a Nightclub Party Package? To reserve a nightclub party package we will email a party package deposit link. The ticket deposit for any of our party packages is $25.00 per girl and $30.00 per guy and you pay the remaining ticket balance at the open bar lounge that night. Call us today 305 804 5071 for your Ultimate South Beach Experience!